Chilipad Alternative – Are there Any Competitors? You’re probably looking to buy a cooling system for your bed. And came across ChiliPad. But don’t want to break the bank. That’s why you’re here, looking for a ChiliPad alternative. Right? Or maybe you already have a ChiliPad but don’t like it much and now exploring some alternatives. In a hurry and don’t want to read the rant? Hang on tight while I take you through my personal experience. When it comes to comfort, I am all up for it.. This is why when I heard about the Chilipad, I was super excited to get my hands on one. It is allegedly supposed to make you sleep better, by giving you the ultimate temperature control of your bed. With the word buzzing everywhere and that too, in a rather positive manner, I decided to join the bandwagon myself. I went ahead and bought one for myself, even after seeing a hefty price tag. After all – I am all up for comfort. Been using it for a good few months now and I don’t hate it much. But I am not a big fan either. Though there are a lot of positive reviews on internet and a lot of people seem to like it, but still there are some who didn’t find it their cup of tea. Turns out, ChiliPad has some shortcomings which we will talk about shortly. Now because I was really pumped for it, and I really wanted to get the most comfortable bed temperature, defeated and desperate, I came across Bedjet – the best alternative to Chilipad. Like ChiliPad, BedJet is supposed to give you the same temperature control, same comfort and features but in a lesser price. ChiliPad and it’s competitor, BedJet both use advanced technology that make your bed more comfortable, by allowing you to maintain your desired temperature during sleep. This means better sleep and who won’t like it? ChiliPad uses water for warming or cooling the mattress (through a network of micro tubes) and BedJet uses air for the same purpose. The advertised low temperature is said to be 55° F, but some users reported that the temperature could never go so low. In fact, once one settles in bed, they can expect the temperature to go a bit up, thanks to the extra body heat and the time ChiliPad takes to control the temperature. If you want to go from hot to cold, ChiliPad will take some time in doing so. How much time? An hour or so. So if you wake up in the middle of the night, sweating or freezing, you won’t get comfortable anytime soon. Remember the fairy tale “The Princess and the Pea ” and how the princess couldn’t sleep because a pea was under her bedding all that time? In this case, it would have been the pipes keeping her up. If you bear the same sensitivity as that princess, then the sturdy pipes beneath the mattress are sure to keep you up all night. Though the ChiliPad uses a network of micro tubes that sits beneath the mattress, and everything is well-secured and fits perfectly with the unit, there is still a chance of leakage. Although it is supported by several guarantees, the thought of having liquid running under your mattress makes a good portion of the population uncomfortable. So people that are finicky and worrisome, they might not get the perfect night sleep with the ChiliPad running. It can not accommodate bed of all sizes. This limitation can lead you to pay even more, depending on the size of your bed. And in case if you try to fit a smaller size on a king-sized mattress, this hack won’t work at all. When I say there’s a difference, I mean it. A BedJet costs a fraction of what the ChiliPad does. Since the ChiliPad comes in different sizes, the price also moves towards the higher side. The basic ChiliPad model (Single Zone) costs $449 whereas you can get a single zone BedJet for $300. The BedJet is easy on your wallet, and the best part is, unlike ChiliPad, you don’t need to look for different sizes. BedJet will work no matter if you’ve got a king or queen sized bed. How is BedJet Different than ChiliPad? In plain terms, the BedJet does what a ChiliPad does, minus the cons of it. 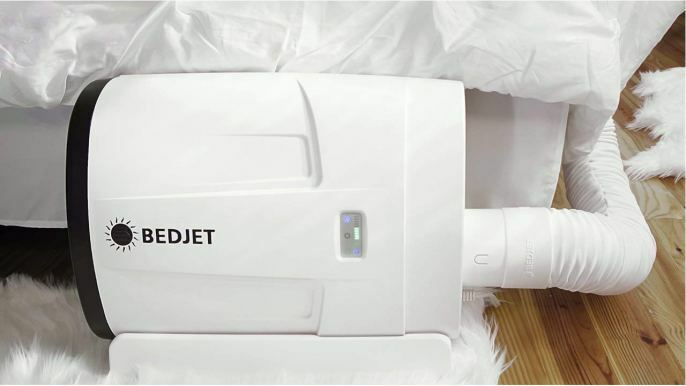 A BedJet gives you complete temperature control, is quick in heating and cooling and is pretty efficient when it comes to its overall usage. The BedJet sells V2 as a single unit, but the dual zone unit option is also available. You literally have to buy just one unit of this ChiliPad alternative (two in case of dual-zone temperature management) and it will fit perfectly. Doesn’t matter what your bed size is, the BedJet V2 will cool or warm it for you. Since a BedJet uses air, imagine it as your personal air-conditioner. 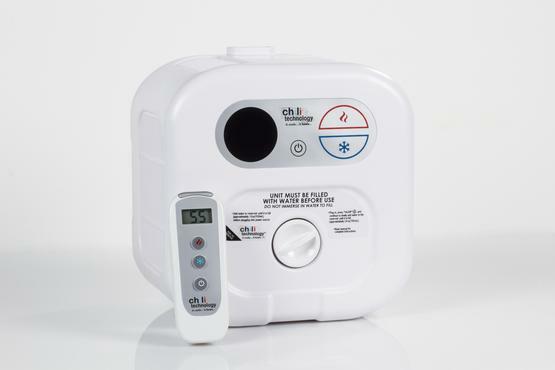 Once you switch the temperature, this ChiliPad alternative immediately starts changing and takes around 30 mins or less to reach that set temperature. Talk about being Quick! This right here will make sure your you get the most perfect temperature through out the night. It is an intelligent feature that controls the air flow and temperature while you snooze away. For instance, once you switch the BedJet on, with this feature on, it will start out a little intense so that your bed reaches your desired temperature and eventually slow down. Just like that, the speed and temperature will vary throughout the night to give you the best sleep. 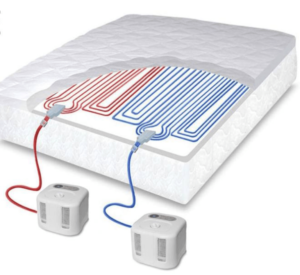 Just like the ChiliPad, the BedJet V2 also gives you the option of having completely different temperature zones on the same bed. You will need to install two BedJets; one on each side and with a special AirComforter, you will get those two different zones, as the comforter comes with two chambers and holds the conditioned air. All you need to do is fix this ChiliPad alternative unit beside your bed, fix the hose according to what you feel will give you maximum airflow and that’s it. An independent unit that doesn’t coil around your mattress with minimal hardware involved. Probably the one feature that gives the BedJet a lead on the ChiliPad is the wireless remote control. 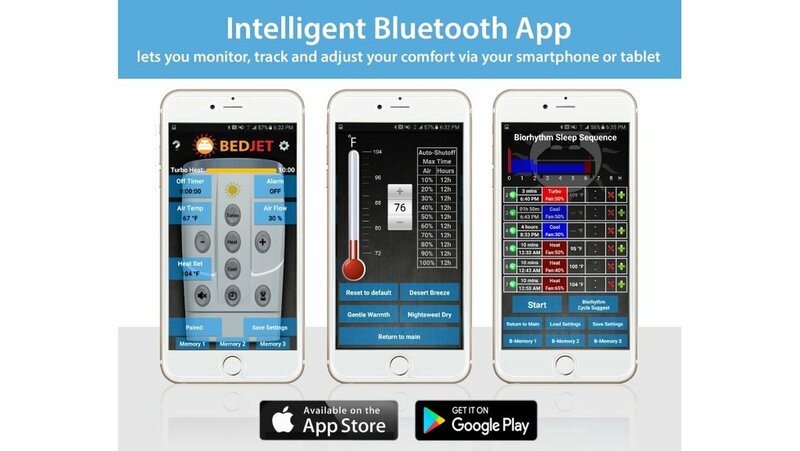 Though, the remote that comes along the unit isn’t much of a sore eye, the BedJet V2 gives the option of controlling and managing everything via its smartphone app. The Bluetooth connected smartphone app offers a better experience and offers even more view on custom settings, temperature, air flow, alarms and auto on/off timers. So really, for anything and everything, you just need your smartphone. For any temperature regulating device, its not the humid nights that are a problem, but the ice cold, winter nights. This is where you will fall in love with the BedJet’s turbo heating feature. With turbo heating, you sure sure to get a toasty bed with in seconds. The turbo heating is so good at warming up the bed, that you won’t need an extra heater to work during the night. Combined with the Biorhythm Sleep Technology, the BedJet V2 will keep you warm and cozy through those harsh winter nights and make it even harder for you to leave your bed in the morning. You get 60 day trial period and if the BedJet doesn’t work out for you, you can easily return it and get a full refund. No questions asked!!! The ChiliPad blew the market, both with its features and price tag. Therefore, several people, like me, started to look out for a ChiliPad alternative and it is safe to say that the BedJet is what we all agree on. It’s smart, small and shouts efficiency. Holding all the star features, such as immediate temperature transitions, dual zone temperature technology, the BedJet is here to make you dream more. Other than this, you will also be really amazed by its Biorhythm Sleep Technology, which is intelligent in its own way. You get all the features of a ChiliPad and that too in a decent price tag. One thing is for sure – you will save serious money with a BedJet on your hands (and bedrooms). 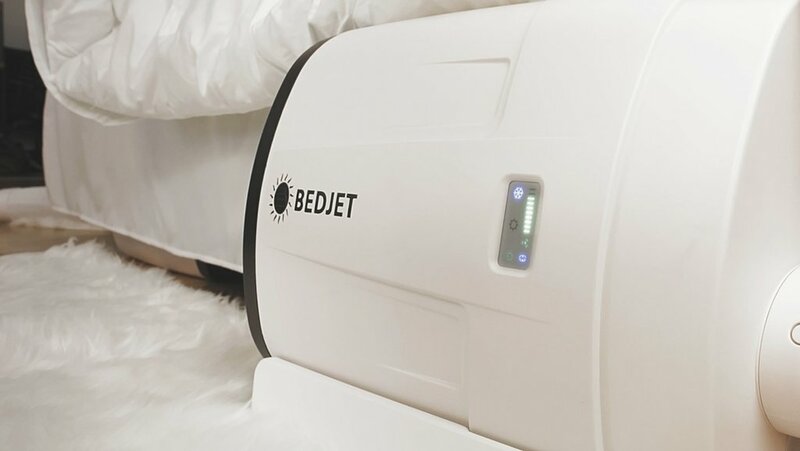 So for those good nights sleep and extra saved cash, you need to try out the BedJet for sure.